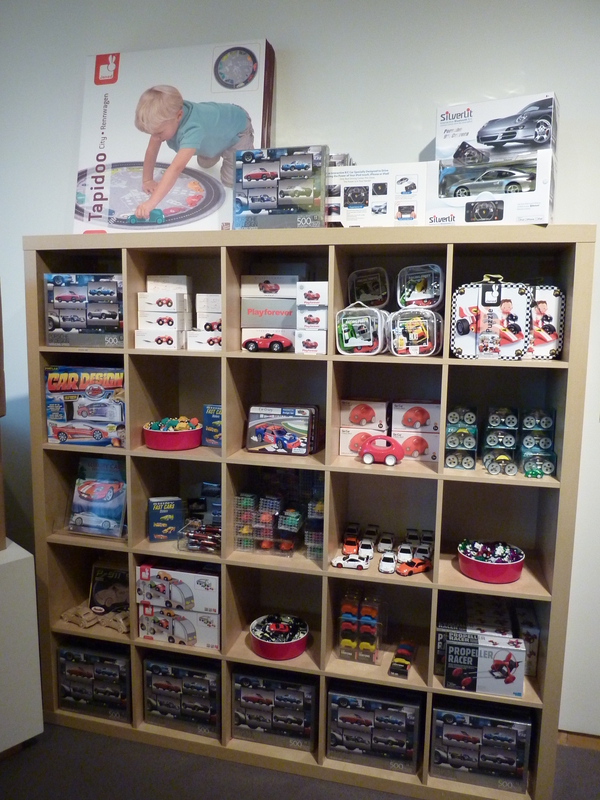 Do you have a Porsche lover you’re shopping for this holiday season? 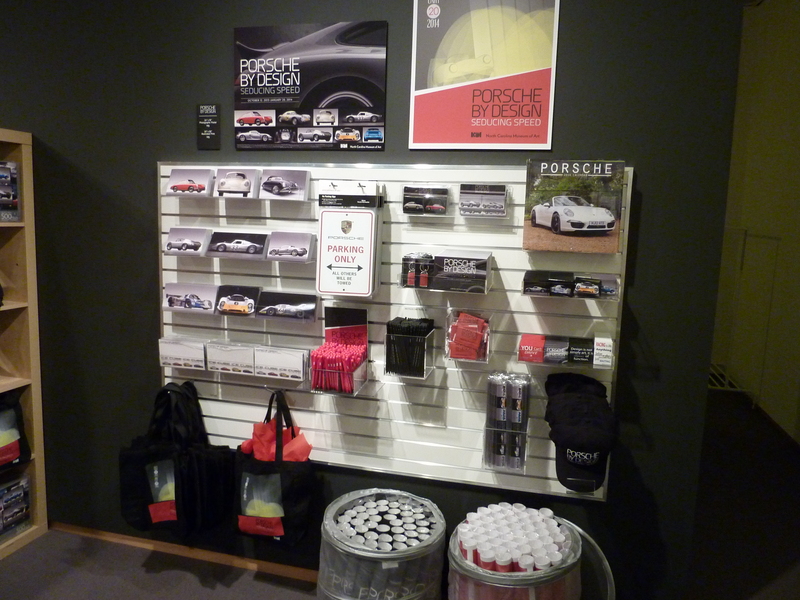 Why not check out the North Carolina Museum of Art’s exhibit Porsche by Design: Seducing Speed (a great gift in itself) – and then visit their exclusive gift shop for a few stocking stuffers? Enter the world of Porsche. 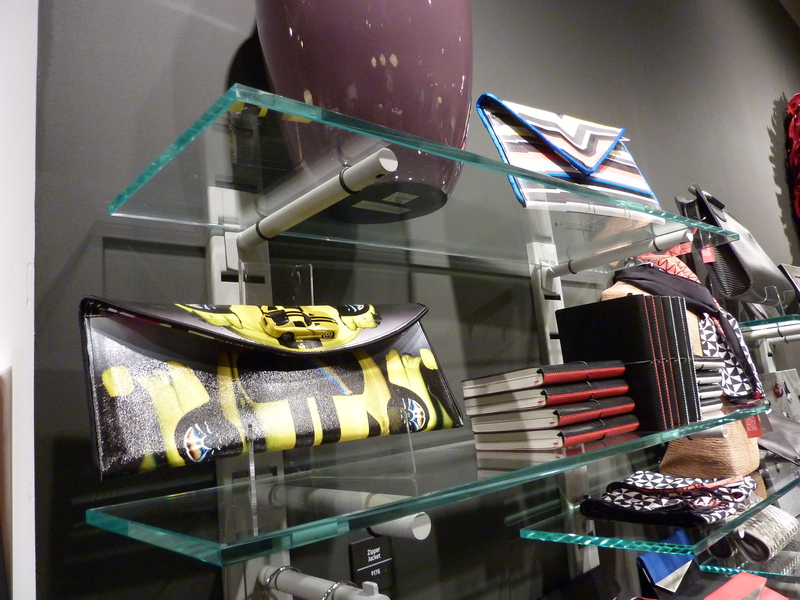 Located in the East Building, this special exhibition collection shop is filled with artfully designed gifts specifically made for Porsche by Design (limited selection also available in the North Carolina Museum of Art Museum Store, West Building). From the red-lacquered magnolia leaf wreath, to delightful (and delicious!) 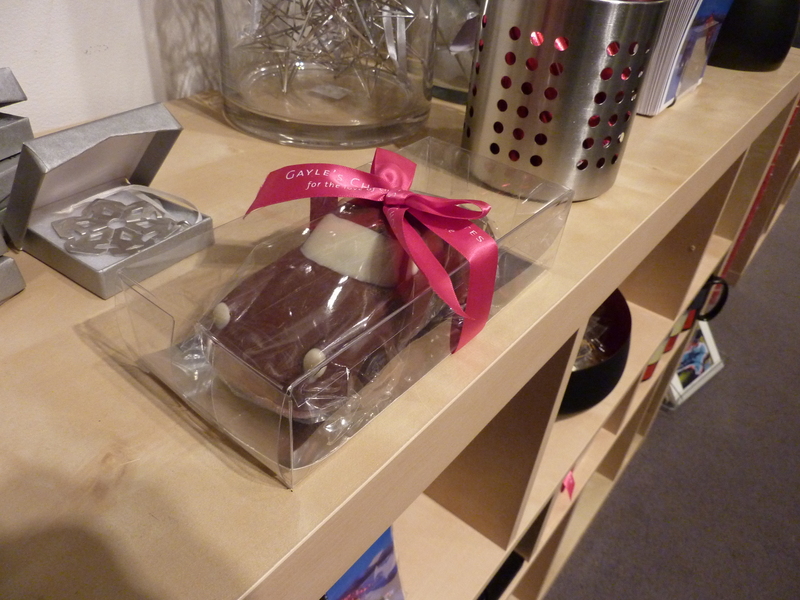 Ghirardelli chocolate bars dressed in Porsche wrap, there’s a little something for everyone. Price points vary as much as the items. From t-shirts, posters, mugs, pens, recycled tire pencils, magnets, hats and postcard books to a driving jacket that incorporates bold design with metallic zippers, faux leather and race car driver detailing at the elbows. Janis Joplin-inspired jackets and earrings are also a big hit. 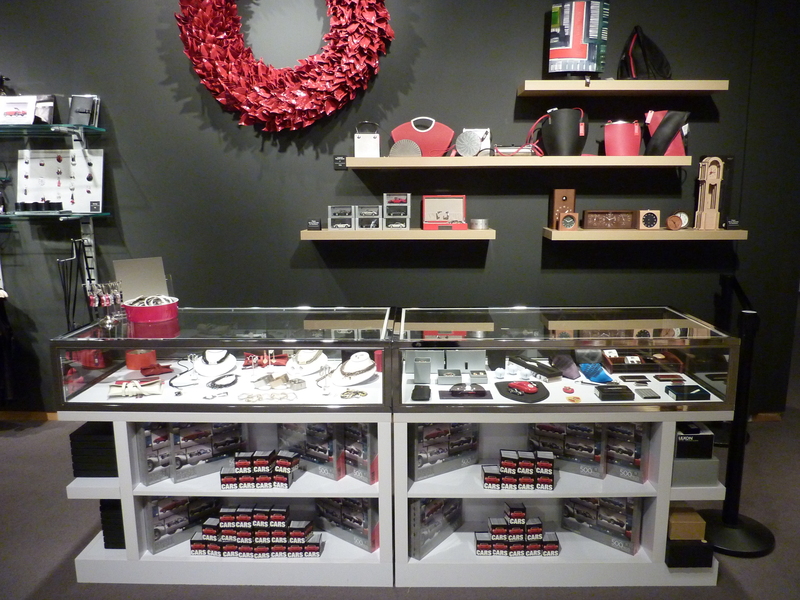 There is a variety of apparel and home accessories, wallets and women’s pocketbooks, custom archival prints and wall art, as well as kids’ merchandise. 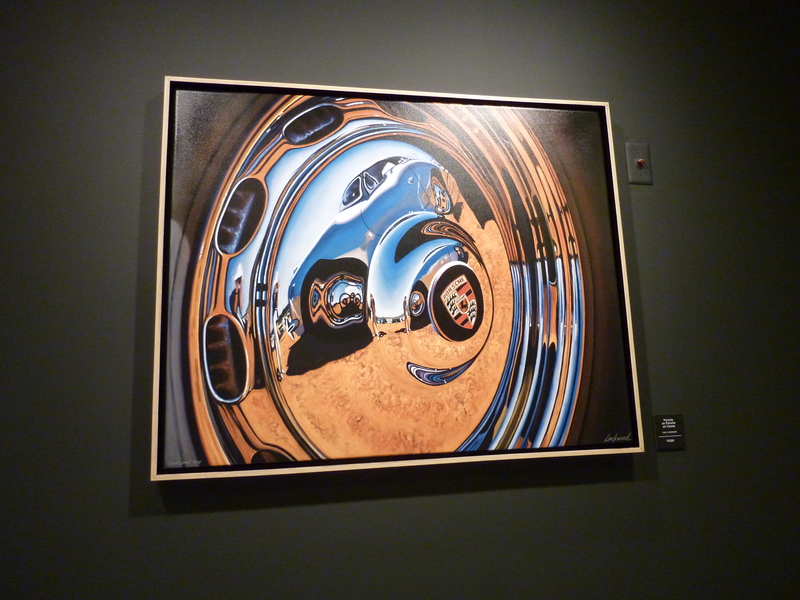 “Visitors, Porsche aficionados, and Porsche owners/lenders to the exhibition have told us that our commemorative designs are the best they have seen,” said Militello. 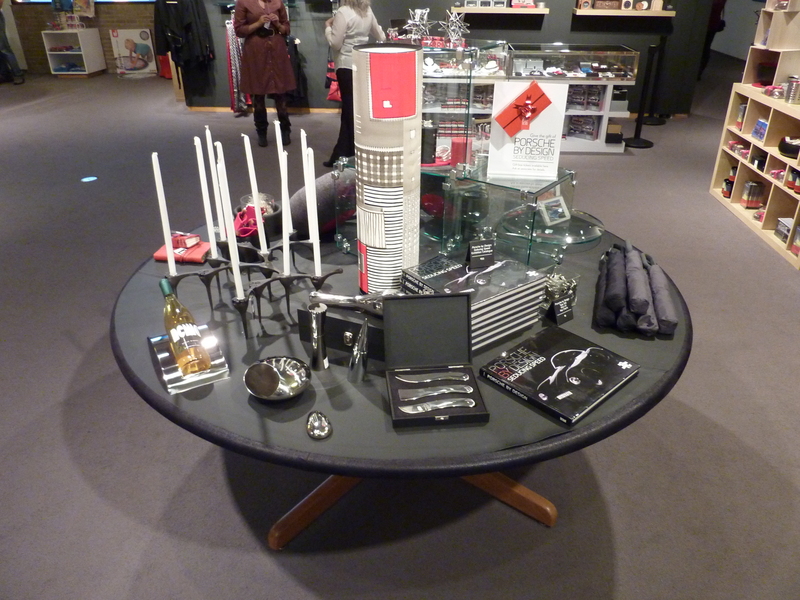 Exclusive design items were a hit with Porsche, who allowed their name to be used on the merchandise. 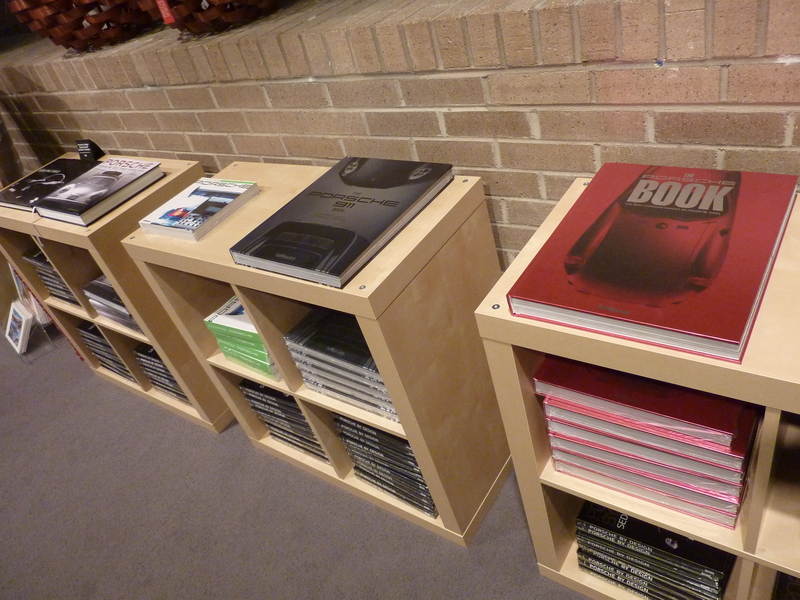 Porsche by Design is accompanied by a richly illustrated exhibition catalogue, featuring essays by Derek Bell, Miles C. Collier, Robert Cumberford, Ken Gross, Cameron Healy, Cam Ingram, Randy Leffingwell, Karl Ludvigsen, Pete Lyons, Michael Mauer, Denise McCluggage, Dan Neil and Jeff Zwart. This book, among others, is also available for purchase in the gift shop. Learn more about this ongoing event.